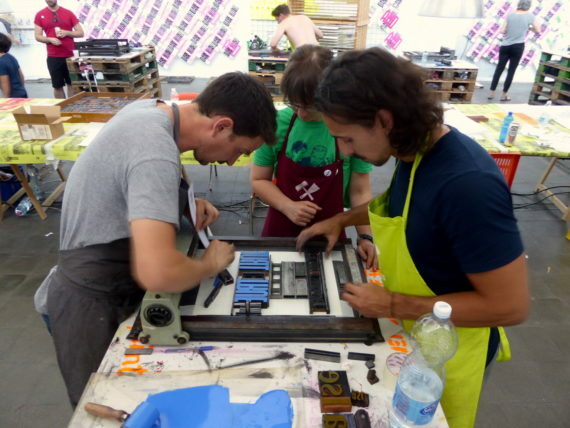 I travelled to Milan last month to participate in the Letterpress Workers International Summit, an annual gathering of letterpress practitioners. 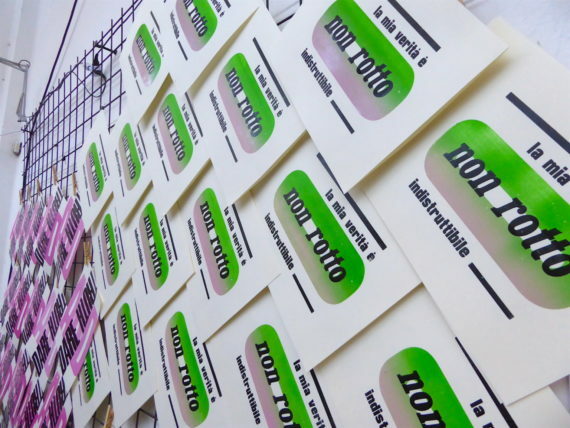 It was established in 2012 by the cultural association Officina Tipografica Novepunti (tr: Novepunti Typographic Workshop) and is now an established short-term residence of around 40-50 letterpress artists coming from countries as diverse as Italy, Switzerland, Belgium, Germany, the Netherlands, Slovenia, Spain, the UK, Brazil, Canada and the USA. 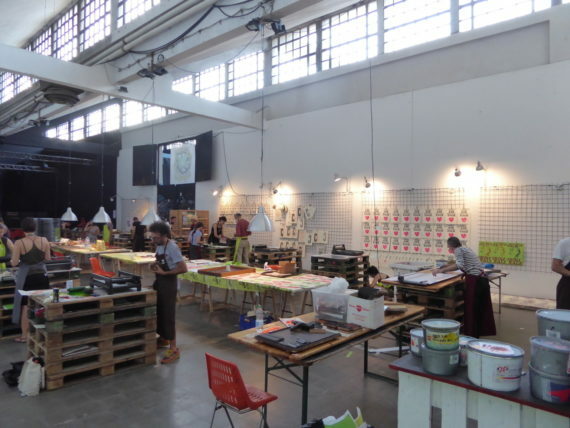 It takes place at Leoncavallo Spazio Pubblico Autogestito, Milan’s oldest squat, with a space large enough to take 50 eager printers, around 10 simple proof presses, Novepunti’s excellent wood type collection and enough wall space to hang hundreds of prints. 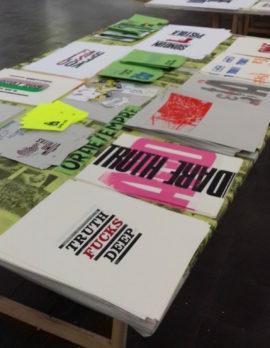 Each artist who attends LPW is expected to be fully involved in thinking, discussion and co-production around an internationally- topical theme each year. This year’s theme was “true or false”. (2017 was “resist”; 2016 was “fear”.) 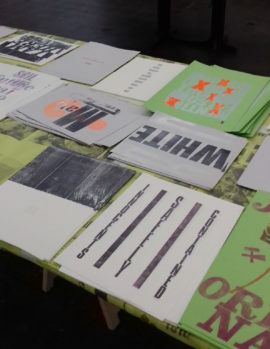 Each day, groups of 3 or 4 people form and their task is to collaboratively produce a new print that explores the themes, each time negotiating approaches, styles and techniques. An edition of 50 must be finished before the day is done! On my first day, I worked in the collaborative international style with Armina (Armenia/Belgium), Charlotte (Netherlands/Belgium) and Eva (Spain). The collaboration is the really important thing – how to communicate and negotiate through or around any language barriers. In fact, language was the core of our print. Bu also, you need to work around differences in approach. In our group, two were more precise and two worked in a freer style. Will you vary your style, be influenced or try to persuade that your way is best?! On my second day, the 35 degree heat started to get the better of people. It was a sparser attendance at the start of the day as people took a stroll out to a gallery, hung out in their Air Bnbs or lounged under the shade outside at Leoncavallo. I was willing to risk the temperature and carry on printing, taking the opportunity to make a solo print. Despite having been to Italy around ten times (both on holiday and working on tour with bands), my command of the language is poor. I took some translation advice from one of Team Novepunti to work out “truth” and its “unbreakability”. La mia verita é indistruttibile = my truths are unbreakable. As far as I understood, the exact translation for unbroken/unbreakable varies according to context and the latter denotes more of a conceptual truth. 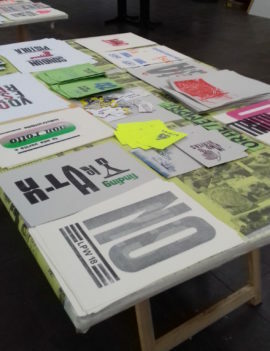 Once the printing is finished, each evening includes dinner together, talks, an auction and then, on the final evening, a sharing of spirits from each participant’s home country/city/region. A great way to share our backgrounds and approaches, and to relax after several days very hot printing. 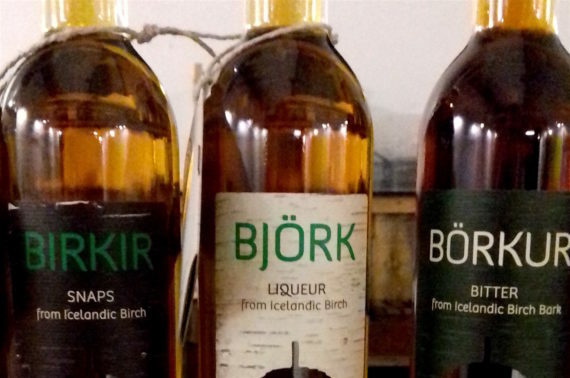 The Icelandic offerings were my preferred tipple. 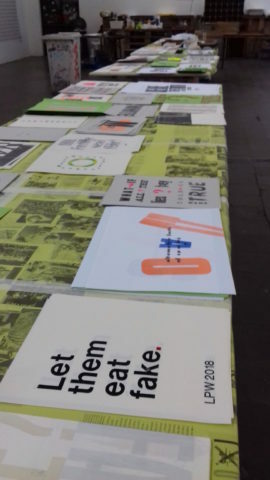 And then, on the last day, all the editions of 50 prints are laid out for participants to collate their own archive of Letterpress Workers 2018. A huge thank you to the Novepunti team for creating and co-ordinating such an amazing experience. 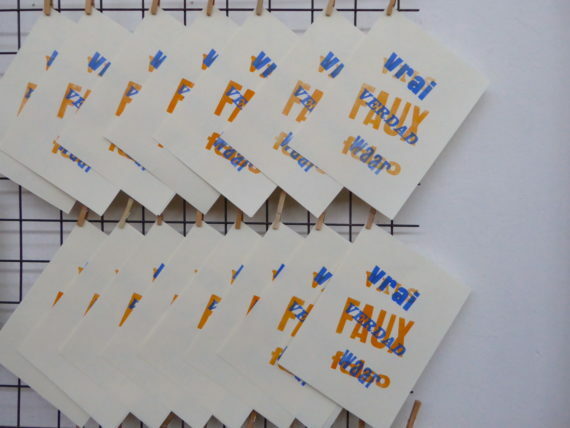 I am an artist working with print, language and geography. My work is frequently site-specific and considers how sense and experience of place can be represented. It explores the ways we describe liminal states and how landscape shapes understanding. 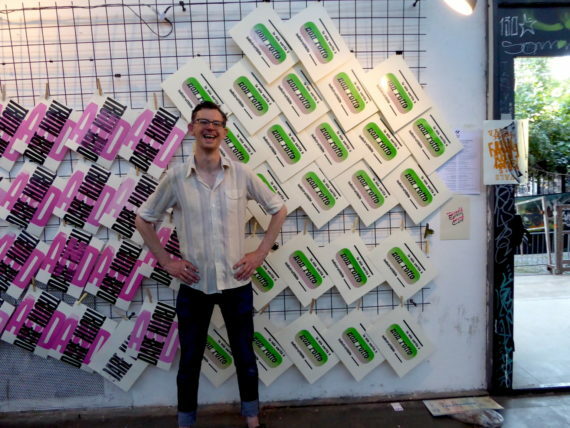 I work primarily with letterpress printing on paper and, through using what was once an industrial process, I am interested in where the multiple meets the unique, where the ephemeral meets the archival.